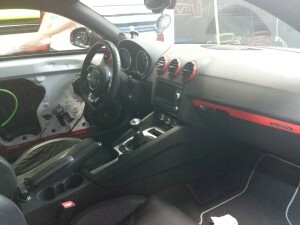 At the time of writing this, I actually have my car back in my garage… But I figured I’d share some awesome shots of when I was in at Premier Wraps for the last little bit of wrapping. They still need the vehicle back for a few final touch up items, but overall… It’s pretty friggin’ sweet. I was speaking with the owner and his apprentice Steve, and it turns out this vehicle had a lot of difficult spots for wrapping. The removal of certain panels also made the job pretty tricky, but in the end it only slowed them down–they still got the job done. For the time I was in at the shop, I was really able to see the complexity involved with wrapping. Paul and Steve were also super friendly and it was awesome to hang out with them while they were hard at work. 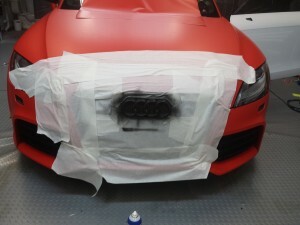 If you look around online there’s already a few shots of the finished product, but I’ll wait for another post to show the outcome of the entire wrap job. 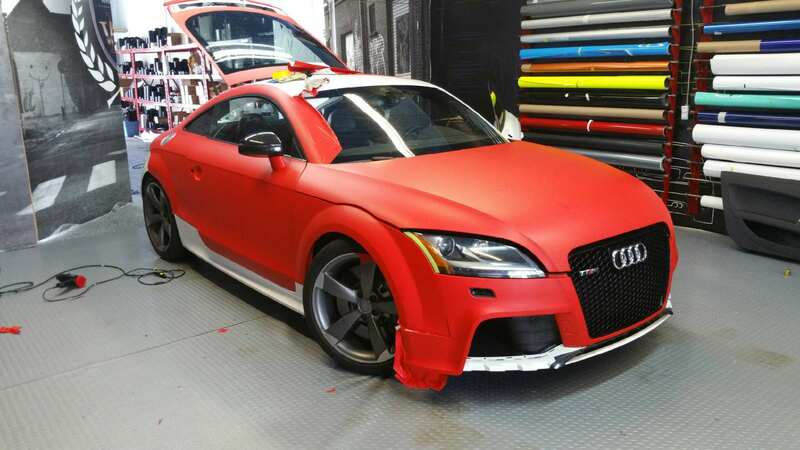 The colour of the wrap seems to turn out more orange or a desaturated red in every picture I take with my phone… But I can assure you it’s quite a vibrant red colour. I’ll be doing what I can to take pictures that really represent the red. 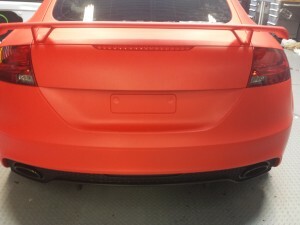 The trunk in the middle of being wrapped with 3M matte red. 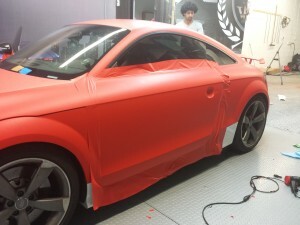 The passenger side door frame in the middle of being wrapped with 3M matte red. 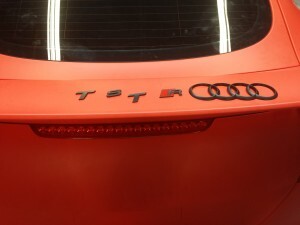 The trunk and spoiler completely wrapped in 3M matte red, but none of the badging in place. 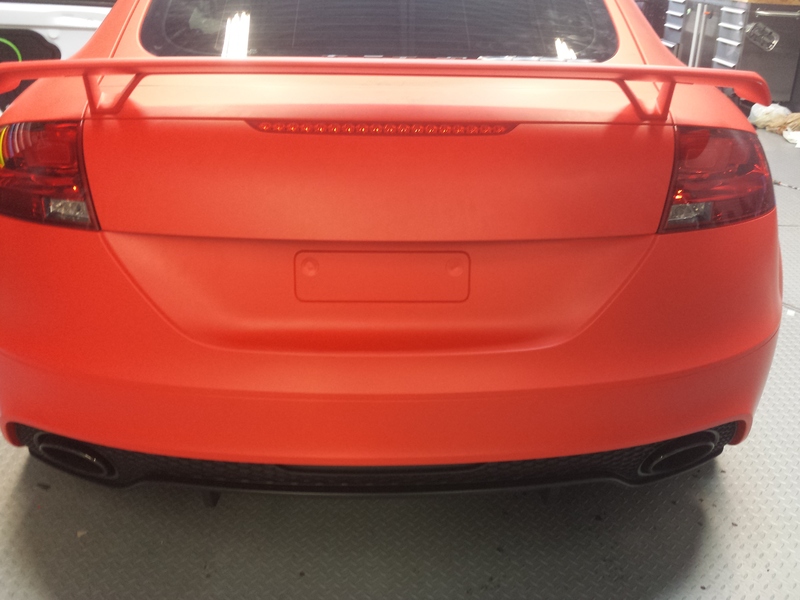 The badging plastidipped in black! Front badging in the middle of being plastidipped. 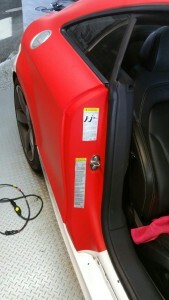 Apprentice Steve hard at work on the driver side door. 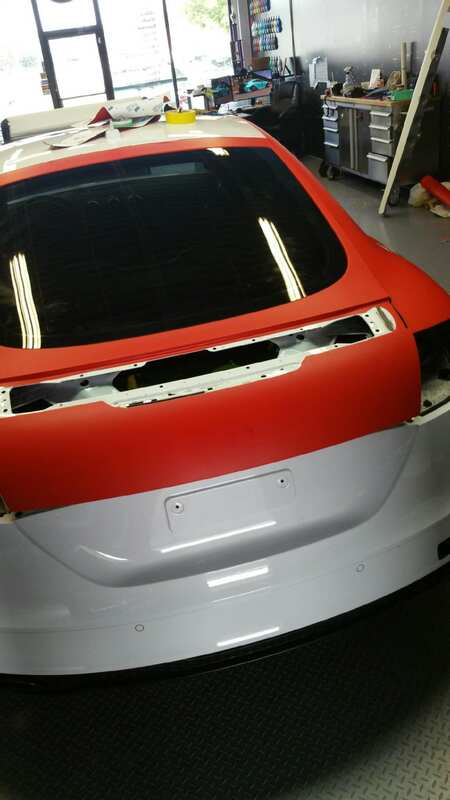 Owner Paul and Apprentice Steve hard at work on getting the wrap on the driver side door. The vinyl wrap on the driver side before being completely fitted. Portions of the interior plastidipped red to match the exterior colour. 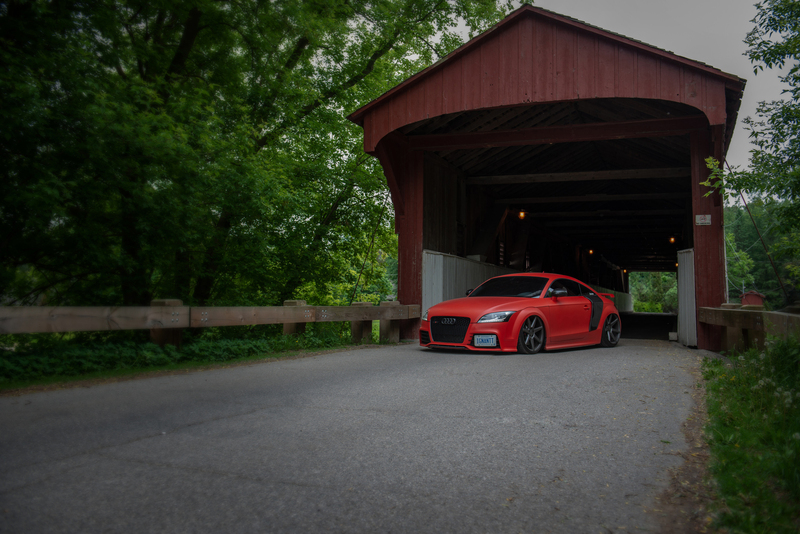 ← Time For A Wrap!